The office of Multicultural Affairs (MCA) strives to support and empower students of all backgrounds. By providing educational and inclusive programming for the Albright community. Our goal is to work with the campus community in order to encourage academic, cultural, and personal growth. We welcome differences in age, race, ethnicity, disability, gender, religion, sexual orientation, socio-economic background, and geographic origin. Located on the ground floor of the McMillan Student Center, directly across from the mail room. 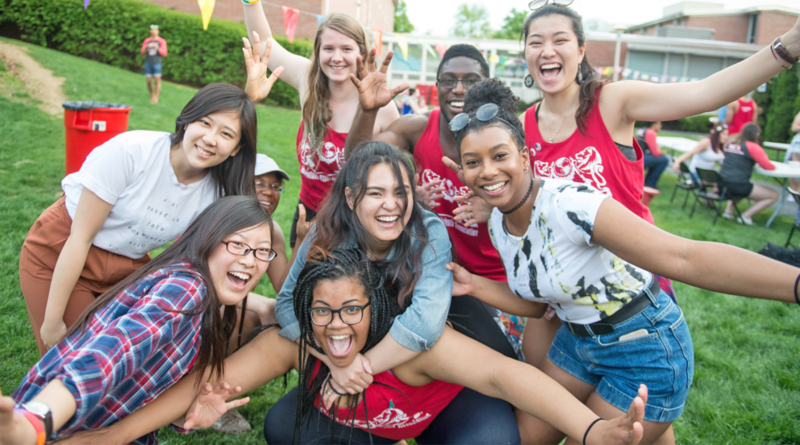 Albright College Office of Multicultural Affairs is on Facebook! Where is the Office of Multicultural Affairs? The MCA office is located on the ground floor of the McMillan Student Center, directly across from the mail room. What kinds of programming does the Office of Multicultural Affairs provide? The MCA Office provides programming relating to different areas of multiculturalism and diversity. Programs sponsored by the MCA Office are aimed at creating a campus community that is characterized by openness, sensitivity, and a willingness and eagerness to learn about and value differences among individuals, groups, cultures, sub cultures and differing perspectives. This presentation will chronicle the music from the turn of the century to present day and highlights various artists, their music, their influence on the evolution of jazz, and their struggles. Wanda Copeland, Director, Multicultural Engagement at Alvernia University will be leading a discussion around important events throughout the history of the women’s movement. Freedom writers is a movie about a young teacher who inspires her class of at-risk students to learn tolerance, apply themselves and pursue education beyond high school. Professor Teresa Gilliams will be leading a talk back discussion after the movie showing. Albright alum Lawrence Claiborne ’11, will be presenting a lecture on the desensitization of society due to the 24 hour news cycle and other cultural factors. The lecture is designed to address the issue of primary and secondary trauma and how it impacts an individual’s ethics and value systems. The National Great Blacks in Wax Museum is a wax museum in Baltimore, Maryland featuring prominent African-American historical figures. Signups will start on Wednesday, February 13th in the campus center. Come enjoy a cup of tea and snacks while engaging in meaningful conversations about life, culture, and what matters to you. Come join the Office of Multicultural Affairs in an artistic painting cafe. In this cafe we will use artistic expression to explore issues such as media misrepresentation, social justice and empowerment of women of color. Use this opportunity to paint as a way of exploring your passion about these issues! Light snacks will be served. The MCA office will be hosting a cooking challenge where students are welcome to create dishes that represent their culture. Sharon Pitterson-Ogaldez, will be discussing an interactive workshop that provides hands-on learning about how the culture and life experiences of team members affect planning and execution of a group project through role-play. Theories of leadership and cross-cultural awareness will be used to ground and teach skills used in developing knowledge of diversity and creating inclusion. Annual diversity week kick off photo taken by prof. John Pankratz. After the annual photo, we will be tye-dying shirts that will help you learn about yourself and others! The MCA office will be hosting its annual diversity dinner highlighting the Irish culture, in a cultural setting where students are able to learn about the country, culture and more. Come join the Office of Multicultural Affairs for cupcakes and a conversation around diversity and inclusion. The Philadelphia Chinese Lantern Festival is a celebration of light and culture that features artisans from China and the Philadelphia region.